South East Corner of church converted into the Ramsden chapel in 1883 and then made into a war memorial chapel in 1922. 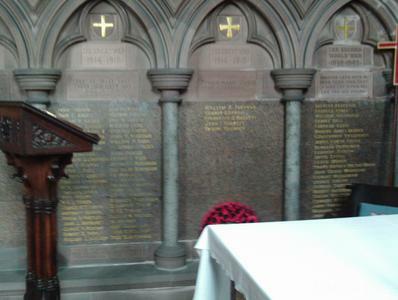 Names engraved into the wall in 3 recessed panels in the North East Corner of the chapel. Just by the entrance door is a wood and glass case containing certain communion ware, and a framed explanatory notice about these and other of the altar furnishings, which has a number of hand drawn illustrations of places connected with the text of the notice. 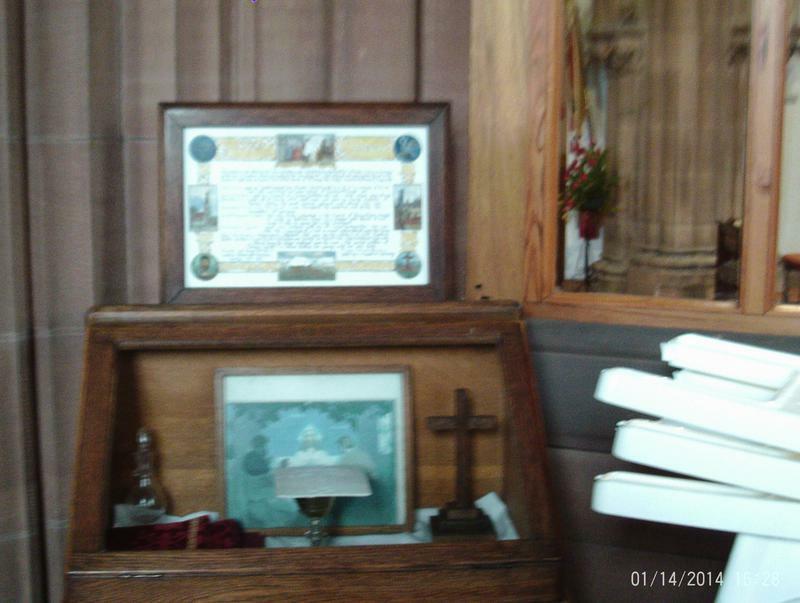 There was also a framed Roll of Honour in the Parish Hall (adjacent to the church, on the north side) to 91 men of WW2 who served and returned. As of 2015 this is lost, but a copy survives at Barrow Record Office.